Are you planning a home renovation or preparing your home for sale and are looking for the best home improvements that will add value and beauty to your home? 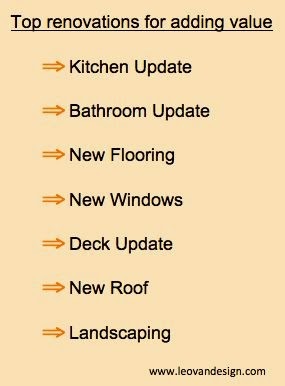 Update your kitchen countertops, sink, cabinets, hardware, backsplashes and light fixtures. Kitchen renovations are a great investment for increasing the value of your home. Upgrade your bathroom sinks, bathtubs, showers, plumbing fixtures, light fixtures and accessories. An updated bathroom is one of the best investments you can make in your home. Update your home’s plumbing with low flow energy efficient plumbing fixtures. Add an ensuite bath and a walk-in closet if your master bedroom can accommodate it. Master bedrooms with ensuites and walk- in closets are in demand with today’s homebuyer’s. Replace windows and exterior doors if they are old and not energy efficient. New windows and doors will decrease your energy bills and increase your home’s value. Update your flooring. 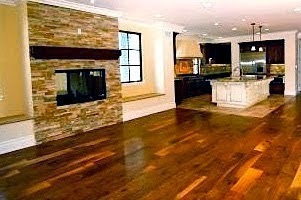 Hardwood floors are a good choice for adding value to your home. Install a laundry room on the upper level or on the main floor if you have the space. Renovate your basement if it is not finished and just being used for storage. Use environmentally friendly renovation materials where possible. Add storage space if your storage space is limited by adding walk-in closets and built-in pantries. Update your lighting. Consider energy efficient dimmers and CFL or LED light bulbs. Paint the interior of your home with neutral colors; avoid bold colors especially if you are planning to sell your home in the near future. Upgrade to an energy efficient home heating and hot water system. Add insulation where needed to improve the energy efficiency of your home. Improve your curb appeal by painting your front door and renewing it’s hardware. 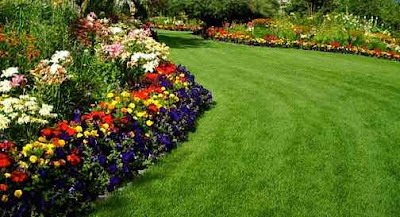 Enhance your front yard and backyard by maintaining your landscape design. Update your exterior siding if needed. Install vinyl siding and consider adding some ridged Styrofoam insulation under it to help improve the energy efficiency of your home. Add a deck or patio to your backyard; they are in demand by today’s home buyer’s. Consult a professional real estate agent to help you decide which renovations will be most valuable if you are planning to sell your home. 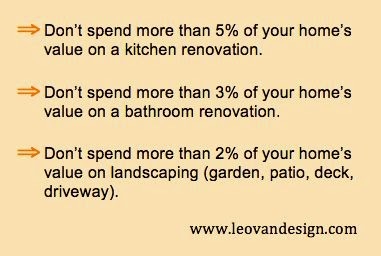 An excellent investment in a home renovation should boost the value of your home by at least 60 percent of what you spent on your renovation. Use common sense by choosing home improvements that fit the needs of your home and your budget. Follow the tips in this article and read my other home renovation articles and you will get the best return from your renovation investment.